A ground-breaking resolution developed by University of Stirling academics on the elevated breast cancer risk faced by women in certain occupations has been adopted by the influential American Public Health Association (APHA), the largest public health organization in the world. Dr James Brophy and Dr Margaret Keith of the University of Stirling’s Occupational and Environmental Health Research Group (OEHRG) were involved as initiators and co-authors of the resolution, entitled Breast Cancer and Occupation: A Need for Action. The adoption of the resolution by APHA is a significant step in public health policy, highlighting the importance of primary prevention and renewed commitment to occupational health research in the United Kingdom and North America, where breast cancer rates are among the highest in the world. Many research and funding agencies still ignore or downplay the role of occupational studies despite their relevance to prevention efforts. Previous international studies have found several occupational sectors in which there was elevated breast cancer risk, including metalworking, bars and gambling workplaces and the manufacture of tinned food, rubber and plastics. APHA supports the use of the precautionary principle, including taking action in the face of scientific uncertainty on cancers such work-related breast cancer. However Stirling academics believe that but UK agencies all too often ignore such an approach. Previous research has identified commonly used chemicals that induce breast tumours in test animals. Animal studies link chemicals that mimic hormones – called endocrine-disrupting chemicals (EDCs) - to elevated breast cancer rates. The World Health Organization, the European Union and the Endocrine Society have all issued major reports on the potential harm caused by EDCs. According to the Endocrine Society, the significant increase in the incidence of breast cancer in the industrialized world over the past 50 years may be due to “hormonally active chemicals”. Professor Andrew Watterson, also of Stirling’s OEHRG, said: "UK industries, professional bodies and regulators have often been slow to act in dealing with hazards and risks linked to occupational breast cancer and other cancers. "Reputable researchers have recently estimated that there are around 2000 new registrations of breast cancer in women every year and around 550 deaths in Great Britain due primarily to work-related breast cancer linked to night shift working alone. 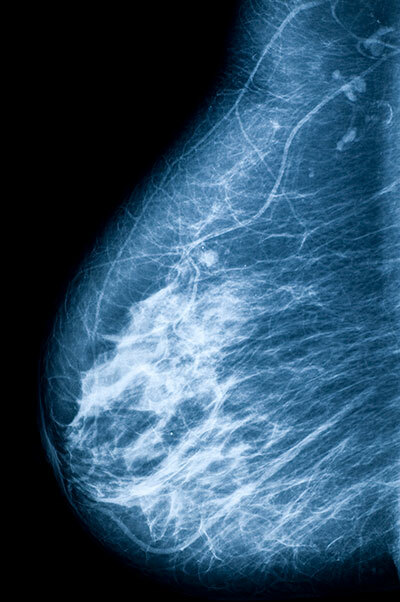 "The APHA report identifies many other substances and processes linked to breast cancer that would indicate the Great Britain morbidity and mortality rate will be far higher from this preventable cause of disease. Helen Lynn, Co-ordinator of the Alliance for Cancer Prevention which campaigns on workplace and environmental cancer prevention, said: "We welcome the APHA policy and want to see bodies such as Public Health England follow suit. Organisations like Public Health England and the Health and Safety Executive (HSE) do women a gross disservice by not acknowledging that EDCs can harm at extremely low doses in the workplace and beyond and therefore cannot be regulated and must be banned. "We now know that the safest exposure to EDCs is no exposure. The HSE must follow suit with urgent action on shift work. We want to see a commitment to valuing women’s lives and to following the ground-breaking example set by the APHA." Along with Professor Andrew Watterson of the University of Stirling’s OEHRG, Dr Brophy and Dr Keith were a part of an international team of researchers who conducted a major award-winning 2012 study that investigated the link between breast cancer rates and occupation among women. The full APHA policy is available at www.apha.org/policies-and-advocacy/public-health-policy-statements/policy-database/2015/01/07/14/55/breast-cancer-and-occupation. Environmental agents—including workplace hazards—play a significant role in cancer causation, modulated by genetic and lifestyle-related factors. Using findings from the dominant focus on individuals, the fund-raising efforts that support breast cancer research (e.g., pink ribbon campaigns) focus on individual solutions, early detection, and treatment. The drive-for-a-cure business model behind these efforts will not reduce the incidence of the disease. More than half of breast cancer cases cannot be explained by traditional causes or risk factors (e.g., weight, diet, alcohol use, genetics). There may well be multiple, interacting environmental factors, some as yet unknown. Despite the high incidence of breast cancer among women and calls for primary prevention of cancers linked to work and other environments, the two topics seldom cross paths. The dominant epidemiological paradigm behind research and public policies remains firmly focused on individual lifestyles, genetics, and treatment options. The exogenous hazards and risk factors - involuntary and commonly shared hazards and risk factors associated with chemicals—the causes of breast cancer that can be prevented or reduced—are passed over, ignored, and/or downplayed. The policy recognises more research is needed but also more public health action now including hazard surveillance and primary prevention activities such as reductions in the use of toxic materials, informed substitution, and green chemistry efforts. These steps actions are required as much in the UK as they are in North America. Whilst it is true that studies attempting to identify and characterise workplace agents linked to breast cancer, as well as intervention studies focusing on the use of less toxic processes and substances, are limited, this is not an excuse for inaction. Eliminating hazards is a well-established public health strategy, and there is evidence that primary prevention of occupational and other environmental hazards linked to cancers both reduces cancer incidence and mortality and is highly cost effective.